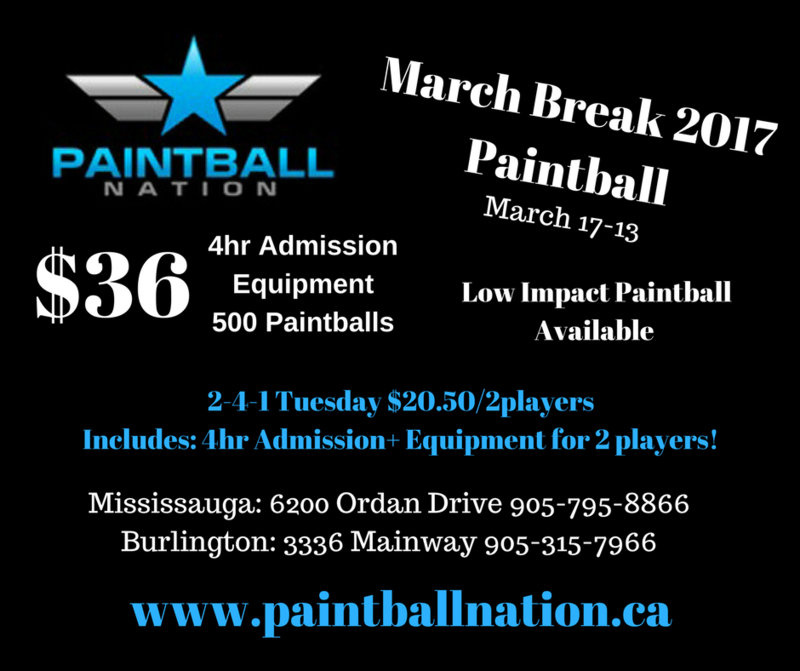 All of us at Paintball Nation are waiting for March Break to arrive. We’ll be open from Monday – Friday from 11:00am to 10:00pm. 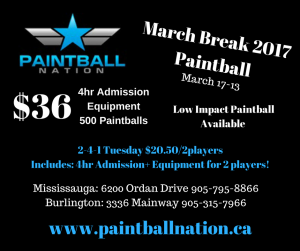 We also have a March Break special. 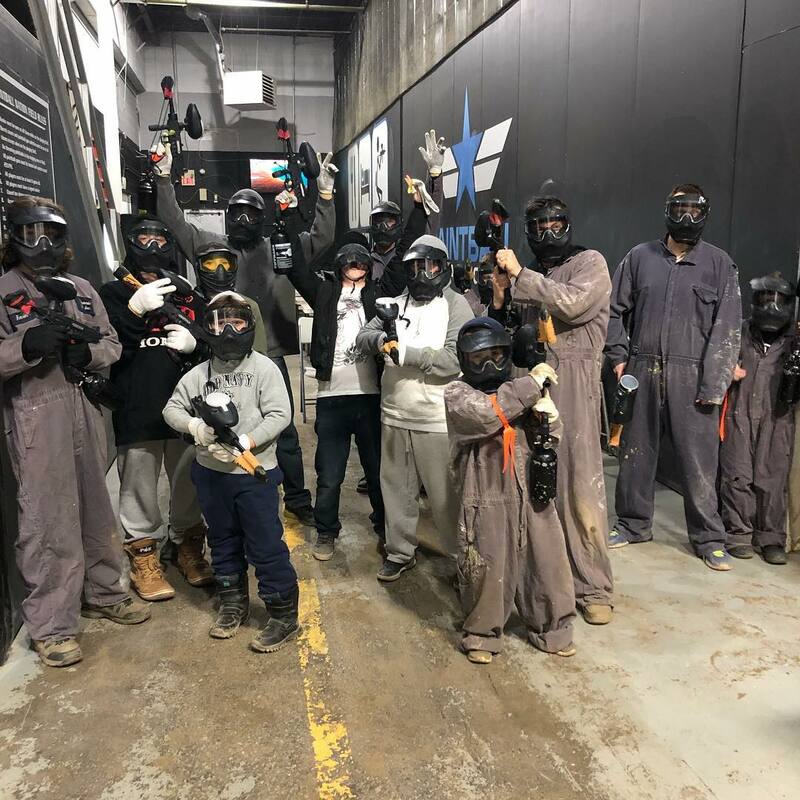 $36 per player includes a 4 hour admission plus 3 piece equipment rental (paintball gun, mask, air tank and unlimited air fills). On Tuesday March 14, 2017 we have 2-4-1 Tuesday. $20.50 includes admission and 3 piece equipment rental for 2 players. Bookings are available for groups of 8 plus players. Please call the location you are looking for. 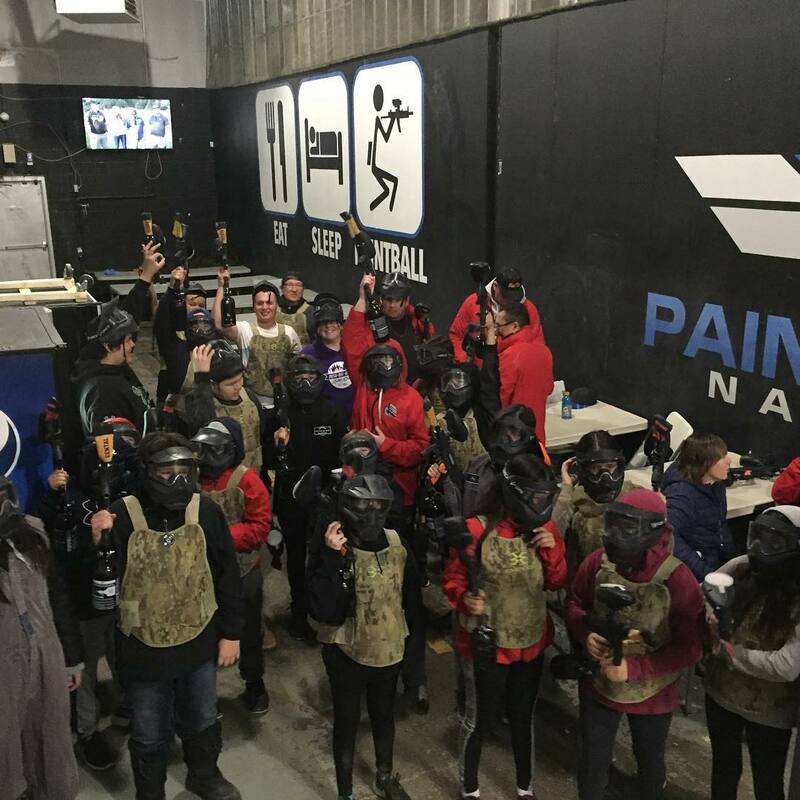 What to wear to play paintball? We suggest old clothing and layers are always good. Things like hoodies and sweat shirts along with jeans, cargo pants or track pants also work well. Old running shoes are highly recommended also. If you don’t have the right clothing to wear, we rent coveralls ($6.50 each), which you can wear over top of anything you prefer. 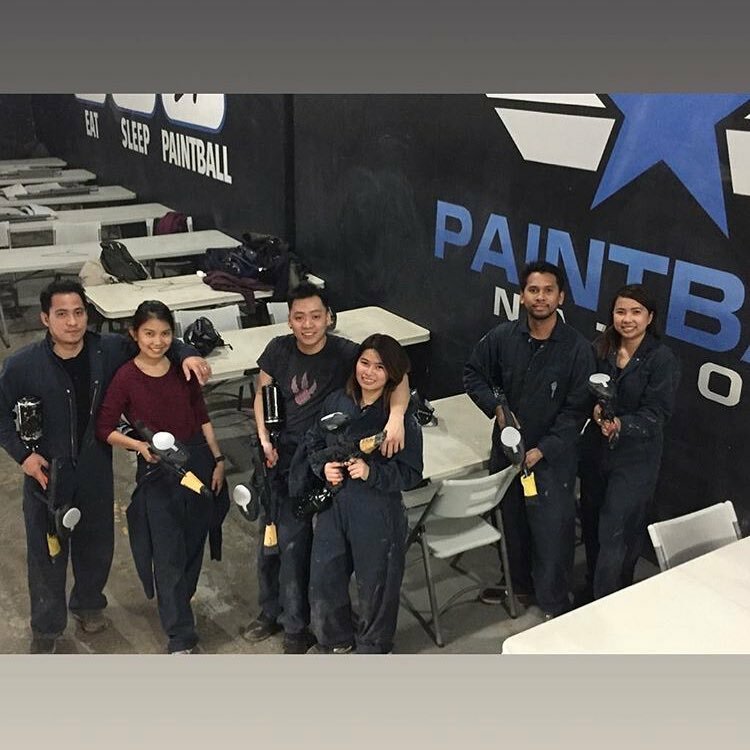 Outdoor paintball or indoor paintball?